My normal blog entries are somewhat time-consuming. In an effort to post more frequently, I'll be posting more entries like this one. Feel free to tweet any additional information about the malware payload. This infection happened on a physical host (not a VM). Shown above: Contents of the zip archive for this blog entry. 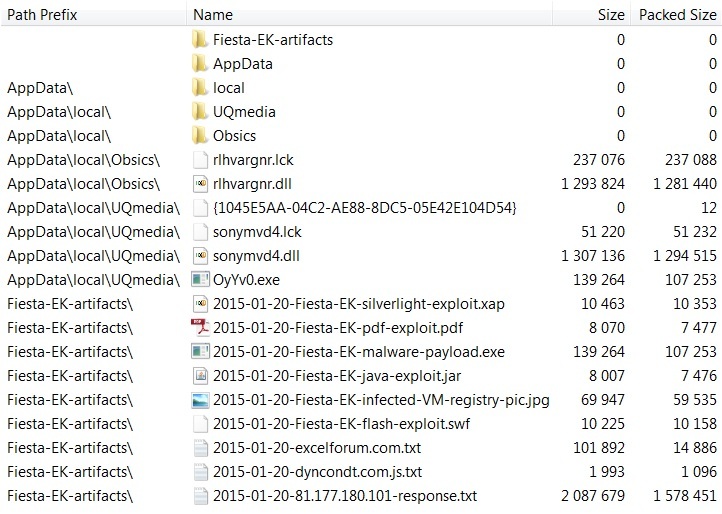 Shown above: Some of the registry changes on the infected host.